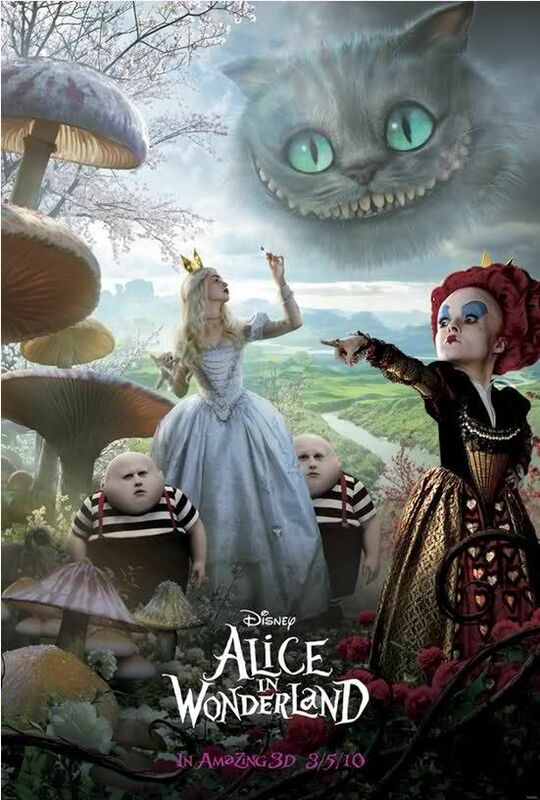 Alice may have survived her trip down the rabbit hole to Wonderland, but it is an unseemly place for the president of a powerful but feckless nation to venture. Nor is it likely that Obama will emerge unscathed – or further enlightened. How so? President Obama seems to have cut a deal with President Erdogan of Turkey to allow U.S. military aircraft to use Turkish airbases to launch attacks against ISIS in Syria and Iraq. Initial mainstream media reports announced this as a great move on the part of the administration. Turkey, in concert with the Gulf Sunni monarchies has, in the past, resisted entering the fight against ISIS and has allowed thousands of foreign men and women to enter ISIS-held territory as recruits. Their military intelligence agency has also been suspected of aiding ISIS alongside the Persian Gulf monarchies. But last week ISIS apparently sponsored a massacre in a Turkish city that killed scores. Erdogan, an avowed Islamist, who has been recently weakened politically by sectarian opposition electoral gains must have felt he had to drop his Sunni monarchial alignments and defend Turkey’s sovereignty against ISIS. So the deal was made with the US. But the Middle East is little but a “Wonderland” for feckless American foreign policy wonkers. Although the mainstream media continues to feature film of our new allies, the Turks, bombing ISIS sites it appears the deal Obama cut with Turkey is being used by the Turks to bomb our closest effective allies, the Kurds. So we sold the Kurds out for getting Turkey into Wonderland and thus have probably lost the Kurdish Peshmerga and associated groups’ confidence in the U.S. as an ally. For those who have not followed the Wonderland tea party, the Kurds, not the American-supported Iraqi government, have been the only effective fighting force against ISIS in both Iraq and Syria. Now the payoff is that the PKK Kurds have turned their backs on the cease fire they had with Turkey and started hostile actions against the Turkish military in Turkey thus broadening the chaos in Wonderland. Like the Red Queen in “Alice,” the battle cry is “Off with their heads,” with plenty of Mad Hatters willing to do the decapitating. Once again a big Cheshire Cat of death is grinning in the Middle East. Good going, Obama! I had to giggle…just yesterday,while talking with our Father, I told Him I ‘felt’as if I were Alice and had fallen into that said hole. This world……! There was a documentary film a few years back called “Good Kurds, Bad Kurds.” Whether they are viewed as “good” or “bad,” you see, depends on how a given national regime wishes to exploit them to further its own interests or exterminate them as a threat to national interests. The result is that, in my view, the plight of the Kurds has become one of the most tragic stories in my lifetime, on a par with the expulsion of the Palestinians from their traditional homes. The Kurds are caught in a tug of war, and their status may get changed from “good” to “bad” by the same national regime in the twinkling of an eye. It is well past the time a nation called Kurdistan (or whatever the Kurds themselves prefer to call it) should be established and respected. This will require redrawing national boundaries in the region, but guess what? They’re already only artificial “lines in the sand” established primarily by the British in the wake of World War One and its attendant defeat of the Ottoman Empire. greglaxer I certainly agree with your statement as to the fact that the western imperialism destroyed the borders that existed in the Middle East determined by the local cultures. Families that owned land for several generations and worked on it found themselves evicted, their land adjudicated to some other family and the original family left without any recourse and living as an immigrant in some other place. That is why it makes my angry when I read about terrorism. The Western Civilization has been the worst terrorist against those whose countries did not belong in the so called Western World. First it was Rome (the Vatican) with their Crusades razing everything they found in their way. And to insure their power the Church followed with the Iniquisition. Yes, I am Catholic but I never was blinded by a false faith and I informed myself by simply reading the History of the world. The British, the Dutch, and the French competed in conquering and usurping natural resources without total disregard for the African or Asian cultural heritage that they were destroying. The Spanish grabbed whatever they could in America and countries like Peru and Mexico became the prey for gold. In the process the Spanish destroyed unbelievable beautiful treasures in jewels, structures and what they could not destroy they killed with the illnesses they carried into a land in many aspects pristine. For my point of view, we, in the Western World, are the worst plague that ever affected the world. We used any amount of excuses, religion, gold, diamonds, oil, gas, coal, democracy but we always seemed unable to face the truth. We are too proud to accept that there is only one explanation for our conduct, we are greedy, have lust for power and still today we have not progressed spiritually enough not to embark in stupid wars and dedicate ourselves to better our condition as humans and honestly try to help those who are suffering because of our weaknesses. I feel terribly sorry for the Kurds. We did not have any excuse when we needed them and used them, even to train our special forces in the CIA in the use of knives. Now we are allying with their enemies. Why? Because it is more convenient for our own interests. One memory comes to my mind. I was 20 years old and based in Lima. I fell in love with the Quechua culture and I spent a lot of time in their small towns in the valleys hidden among the Andes tops. At a height where the roads are covered by snow but as soon as you enter the small valleys you are in a green forest with golden sun searching for you through the very tall branches. These communities were to me the best example of what Paradise must look and feel. With streams of pure water that form cascades on its way down. The communities are very well organized and have a government they respect composed of elders. One of these towns is near one of the copper mines that the consortiums own in the area. I knew the engineers and in one of my visits to their families the conversation changed to the problems the engineers had to communicate “with the savages”. None of the engineers after years of working in the area had been able to learn Quechua. I did not say anything but I felt uncomfortable. Two days later the elders at the town agreed to meet with me. I offered them to teach some English to the workers. The elders looked at each other and smiled. Then they told me that all the workers knew how to communicate in English but that the engineers were so slow (arrogant was the real meaning of the word they used) that the miners were giving them time to learn Quechua! Later on that month I went to visit my friends in the mine and they told me very surprised that the “natives” (not anymore savages) have learnt to speak in perfect English(!) Every culture we ever mistreated is many times older than ours. And they had been at the top and started again many times. They carry their knowledge in their genes. But this is for another time. Going back to the original thought, we have advanced in Science and Technology but if we do not try to become better humans beings all the advancement will only help us to become extinct sooner. Thank you for sharing your wisdom, Graciela. Without a doubt, when avarice and lust for power are “in charge of the environment,” the destruction of the natural world is inevitable. We are all living very much on borrowed time. … given the record of human beings I wouldn’t get your hopes up for a more moral, just and prosperous replacement. Yes, I am pessimistic, but then I’ve seen the elephant! But I agree with Greg, we humans are fouling our nest, and mother nature will win in the end, humanity may just be another ‘failed experiment’.